In the near future of  Ninth Step Station Tokyo experiences a massive catastrophe that leaves it in ruins, desperate for international aid. The country is divided by the world's major powers, each patrolling their respective sector borders with drones and peacekeepers. In this environment, US Navy Lieutenant Emma Hiagashi and a local police officer named Miyako Koreda are working together on a series of murders across the city. Their adventures are narrated in an 11-part series from the storytelling startup Serial Box, compiled by an impressive team of writers such as Malka Older, Fran Wilde, Jacqueline Koyanagi and Curtis C. Chen. Serial Box is not a traditional publisher. His approach to fiction is to tell a long-written story like that of a television program: individual, self-contained guessing that follows the characters of the story and gradually forms a longer story. The company already has an impressive track record with series such as Bookburners The Witch, who came out of the cold and others, forged. Users can buy individual series either by subscribing to one season or by buying all at the same time. You can then read the individual rates either on the Internet or in the iOS app from Serial Box (Android will be available soon) or by downloading each installment in an ePub, .mobi, PDF or MP3 Audiobook format. 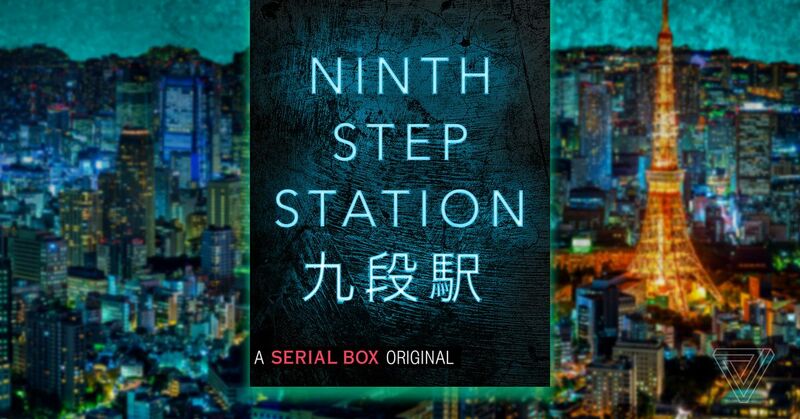 Ninth Step Station is the company's latest series that combines science fiction from the near future with a police trial. The story will be available on the 9th of January as an e-book and audiobook subscription on Serial Box. Below you can read an excerpt from the first episode of the season: "The Faceless Body" by Malka Older. Miyako Koreda tapped his sleeve against the door on the door of the headquarters of the Tokyo Metropolitan Police Department in Kudanshita. After the old headquarters in Kasumigaseki was bombed in the last days of China's short, partially successful attempt to add the capital. This office building near Yasukuni Dori had been put into service as a temporary headquarters. It was a good location, just steps away from the narrowest point of the ASEAN buffer zone, with good transport links to most of the eastern half of the capital managed by the Americans and close to the Yasukuni Shrine, which everyone expected it to be one flash point would be one day or the next But even though someone had been thinking about which interior walls should be torn down, every time Miyako walked through the door, she expected the old office and the floor plan felt strange. "Ohayo gozaimasu," Miyako called into the scattered desks of the Criminal Investigations Bureau on the fourth floor. "Ohayo, Mr. Koreda," a heavy-faced man in his fifties said as he passed the door on his way back to the desks. "Mr. Yamada," Miyako answered, following him to work? " " The case of Shiodome arson, "he replied. "You?" "Paperwork for this theft in Odaiba." 9654] Miyako hung her dark wool coat on the hook beside her desk and went to the tea station. The leaves in the pot were soggy and she threw them into the sink, rinsing out the sieve and searching a new fragrant layer out of the can. As she waited for the water to heat up, Miyako raided the snack bar instead of the breakfast. She chose a small cake filled with sweet potatoes – rarely, since Kyushu was now being held by China; She wondered who had bought those – and a handful of hard candies with sour plum. In her right ear, the newscast roared consolingly. She sat down with a lukewarm mug and began to do the paperwork of the Odaiba arrest and spoke the answers in the speech recognition on her sleeve. Something in the newscast caught her attention on a subliminal level, and Miyako turned the volume up a bit and jumped ten seconds back.
. , , The ASEAN representative in Tokyo made a statement condemning recent Chinese rhetoric. Miyako waited, eyebrows raised like the cables of a suspension bridge, but the story ended. There was not even an answer from China. The newscaster chatted on, and Miyako lowered the volume to a point where the words were barely audible and she knew only that the tone was constant. Nobody had started a war. Then again no one had started a war. Before she could turn back to her paperwork, her sleeve sent a prickle over her forearm. The feeling that arose aroused, as always, an echo in her abdomen, the combination of nerves and anticipation that accompanied every new case. Miyako ran her finger over the edge of her sleeve to emphasize the details, and her pulse hit again when she saw the purple color coding: a murder. The violent crimes had increased since the war, but murders were still rare. No one was happy when it happened, but Miyako could not deny the excitement of solving one. She got up to put on her coat, and quickly flipped through the template the answering officer had sent: body at Kanda Station; several puncture wounds; no identification She paused. That could be interesting. On the other hand, it could mean that the hours since the earthquake are in the remnants of the city's facial and fingerprint database. In any case, this murder could not solve itself. Miyako was on her way to the door as her sleeve vibrated with another kind of alarm. Annoyed, she looked back at her forearm. Log in immediately in my office and read the message. The Superintendent Criminal Investigations, Hideo Nishimura, was tall and even had equipment, and was probably handsome in his youth, but the years at the reception showed in his growing capacity for suffering and a certain slowness in breaking the sloth. When Miyako came to his office thirty seconds after receiving his message, he was already standing with his coat on. "Sir?" Miyako asked, hesitating at the door. "I just wanted to visit a crime scene. , , "
" This situation in Marunouchi, "said Nishimura. "I know, they have to give you a few more minutes, you have to come to the Japanese sector with me first." "The US embassy has asked us to allow one of their peacekeepers to join our investigation team. I work with them. " Whatever Miyako had expected, that was not it. She remembered the time when the peacekeepers arrived, as part of the "friendly" occupation of those parts of Tokyo that were not taken over by China, rolled out by the US. It was hopeful, as if the world was taking China's monstrous aggression seriously. But at the time, of course, there was peace, the peace of China had just got what they wanted, and Miyako had not heard from the unit since. "Come on," said Nishimura, taking his tight hat off the hook on his door. "We have to go there for you and your new partner to go to the scene." "Sir," Miyako began, but decided not to move on until they had crossed the squad room. The staircase was empty. "Sir, a peacekeeper? Do not you have better things to do? " " We've had nine months of peace, Koreda, "Nishimura said, trudging down the stairs in front of her. "Maybe they got bored." "This person knows nothing about the work of the police!" "Obviously, the person they send has a background in the military police." "That's not the same," Miyako said, not bothering to mention her main objections: that she enjoyed working alone and that she definitely did not enjoy working with loud, uninformed outsiders, and Nishimura already knew that first, and would accept the second. "And they will not know Tokyo, is this person speaking Japanese at all?" "Because they do not know Tokyo, they want to connect with us and they know that we have been under-staffed since the attacks and they're trying to help. " Miyako made a nonverbal sound of disagreement. Nishimura sighed," Okay, they're probably not trying to help out of the goodness of their hearts, but I have no choice, Koreda, so do we got the best of it, right? "They reached the ground floor, but Nishimura hesitated before pushing the heavy door into the lobby." I wanted that at Fukuda b but today, when they were finished, they told me they were sending a woman. I know how sensitive Americans can be about Seku-Hara. I thought I'd better connect with a woman. It was too early for government employees, and the sidewalk was almost empty. In the middle of the Bl Ocks Nishimura stopped. "This is a ride, an experiment in information sharing. We do not give them the control. She follows you, not the other way around. He nodded to himself. "It's important that you stay happy. We can improve the relationship. " Miyako nodded as well. He was as clear as he could what he expected from her. Whether she agreed was completely irrelevant. What bothered her was that it sounded as if it was irrelevant whether he agreed. After passing through the security pilot theaters required to enter the US Embassy, ​​they were immediately taken to their appointment. The discreet plaque next to the office door said: Chief Liaison Officer of the Japanese Government, Charles Yardley III. The man standing behind the desk was younger than Miyako would have expected, with carefully cut auburn hair and an expensive suit. He bowed, not shaking hands, like his Japanese secretary sitting in one of the chairs in front of his desk. Miyako unobtrusively patted the sleeve to direct her messages to the bottom of audibility. "Thank you for doing this job on such short notice," Yardley said in impressively smooth Japanese. "I know we've talked about it for a while, but the final approval was just getting through and we wanted to put it into action as soon as possible." He cleared his throat gently. "I'm sure you really want to get to know each other, but we also hoped that you could focus your attention on an incident that occurred early today." The secretary was not & # 39; She took notes, but maybe she had a recorder installed. Miyako watched her closely and noticed something in her eye. So then video. She stifled a shudder. It was not an anti-body modification, but the idea of ​​someone putting circuits in their eyeballs made them weird. "We reported that a truck carrying a container that had just been unloaded was hijacked shortly after it passed through the port's security," Yardley continued. "We believe it was taken to the Chinese Zone, but since the kidnapping itself took place in the US sector, we hoped you could help us to clarify what exactly happened." Nishimura muttered something polite, knowing that they were safe could provide some information about the situation. "Excellent," said Yardley. "Well, then …"
The secretary commented, "Perhaps it would be better if you introduced us here." Her Japanese was clear but accented, and Miyako realized with a shock that she was not the secretary. "Oh, of course," Yardley answered smoothly, "Lieutenant Emma Higashi of the US Navy, seconded to the Peacekeeping Force of Brunei and now to the Tokyo Police Department."